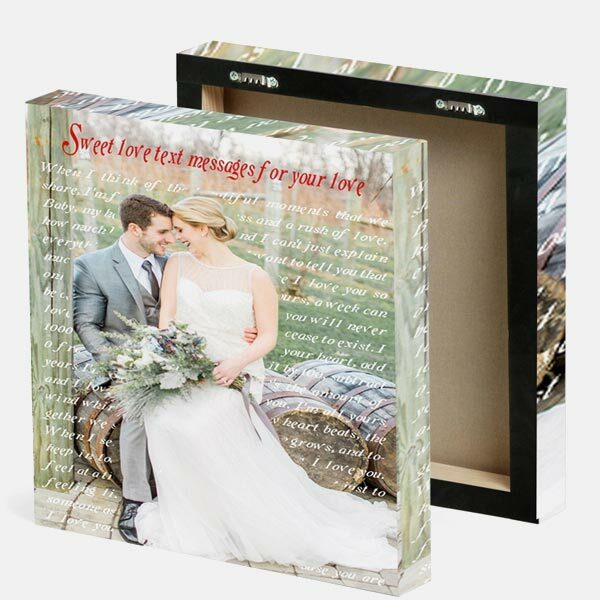 Canvas Frame Size 8" x 8"10" x 14"16" x 20"20" x 24"20" x 30"24" x 36"
With Add Text to Photos Canvas, we offer you a way to express your feelings along with the image. 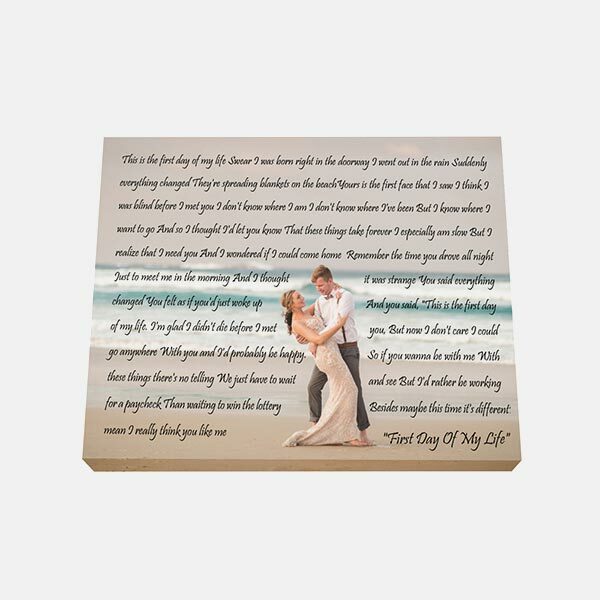 Add interesting captions with your pictures by choosing custom canvas prints with words and get the envisioned canvas print. 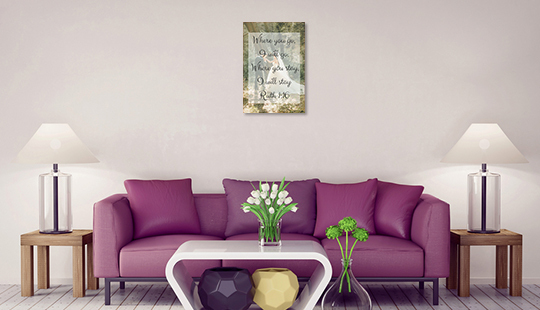 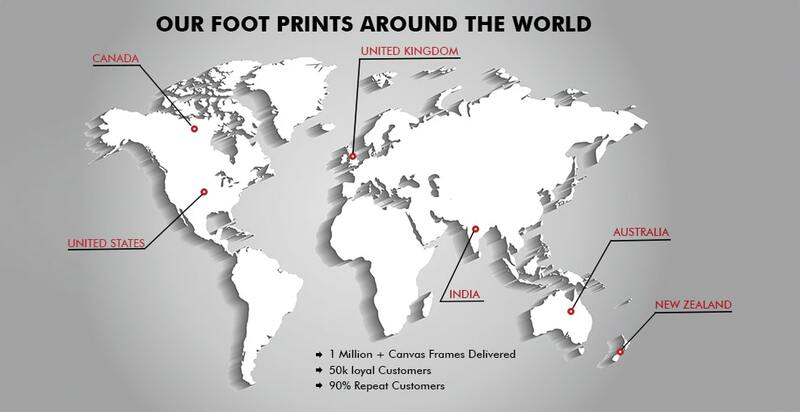 Don’t worry as the process is quite simple, just upload your image, add the text in it, style it in the desired manner and your customized canvas print will be at your doorstep in no time. 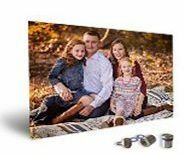 8" x 8", 10" x 14", 16" x 20", 20" x 24", 20" x 30", 24" x 36"
Adding text to your photos will create a novel canvas print that you can flaunt and will be special for you too. 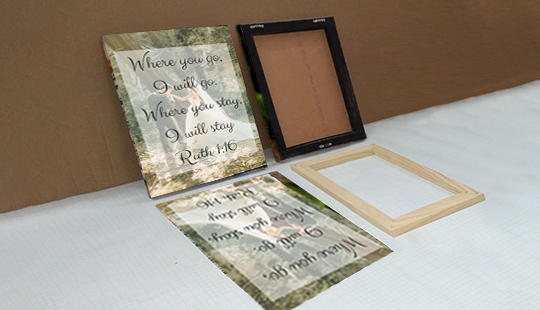 We give you all the ways to make your canvas print special by offering a photo canvas with text. 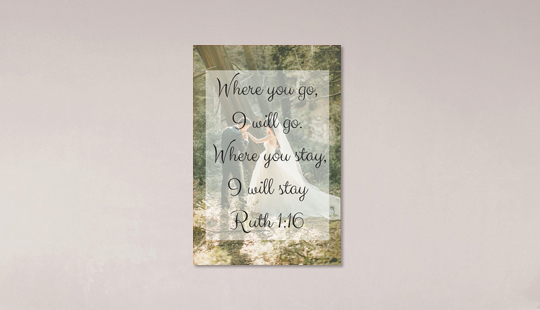 Get your wedding photos on canvas with your wedding vows on it. 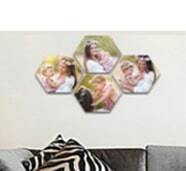 You can even gift a personalized photo canvas with text to your loved one and make it a special for them. 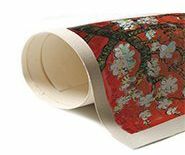 Gallery wrap is a method of stretching an artist's canvas so that the canvas wraps around the edges of the frame which is secured to the back of the wooden frame. 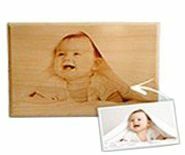 Mirror wrap is a border also called mirrored edges, wrap the parts of the image closest to the edge over the sides of the canvas in a mirror image. 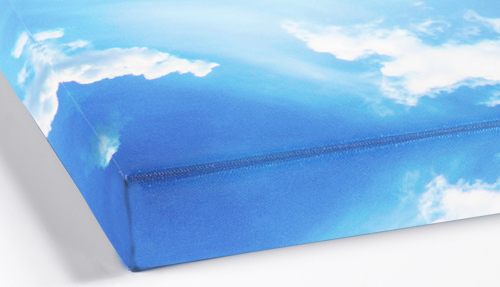 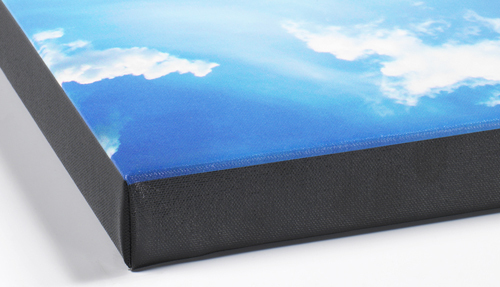 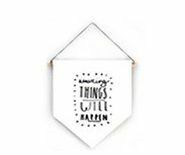 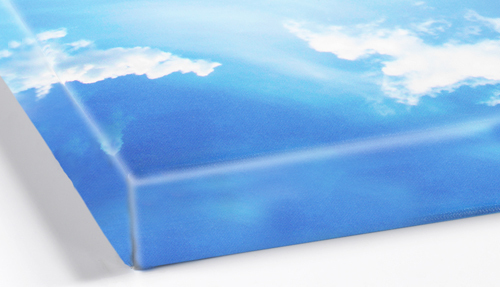 Museum wrap is a solid white or black patch on the canvas edges of the canvas print which gets wrapped around the wooden frame neatly.